Upon returning from Oregon it was time to meet up with my coach Petr Jakl. Our friends Ed and Cathy had very kindly invited us to spend a week at their home near Gatineau Park. This amazing location provided us with quick access to rollerskiing, an athletic track, and trails for running and mountain biking. 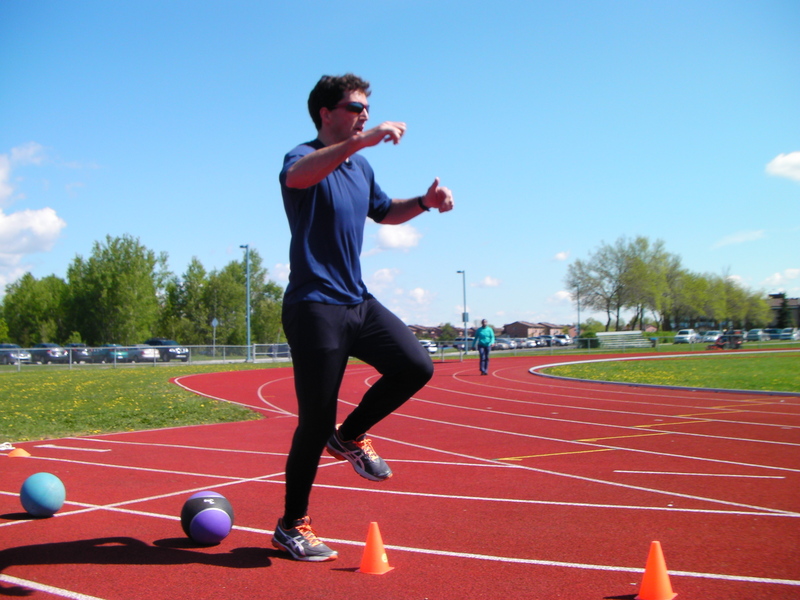 This week let me continue training twice a day as I had done in Bend. We also conducted various tests to see where my strengths and weaknesses lie. When I repeat these test in the fall we will be able to see how effective my summer training has been. Finally, we worked on technique and Petr introduced me to some new drills and exercises to make sure that I would be doing them with good form over the summer. Two workouts stood out for me and reminded me that the summer of training would be no walk in the park. These were the 3k track test and a 5 x 5 minute set of intervals up the infamous “Penguin” hill. 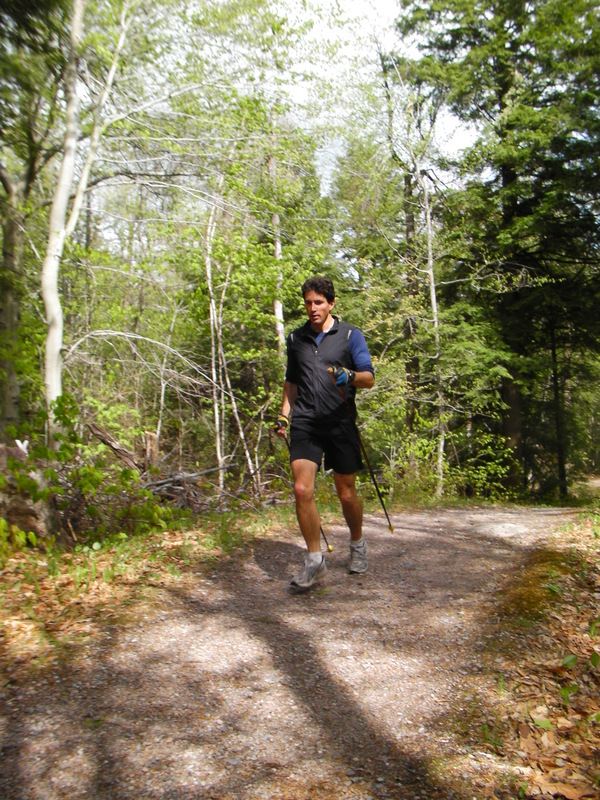 I’ll certainly be spending lots of time in Gatineau Park this summer be it on rollerskis, mountain bike or “just” running. Perhaps I’ll see some of you there! 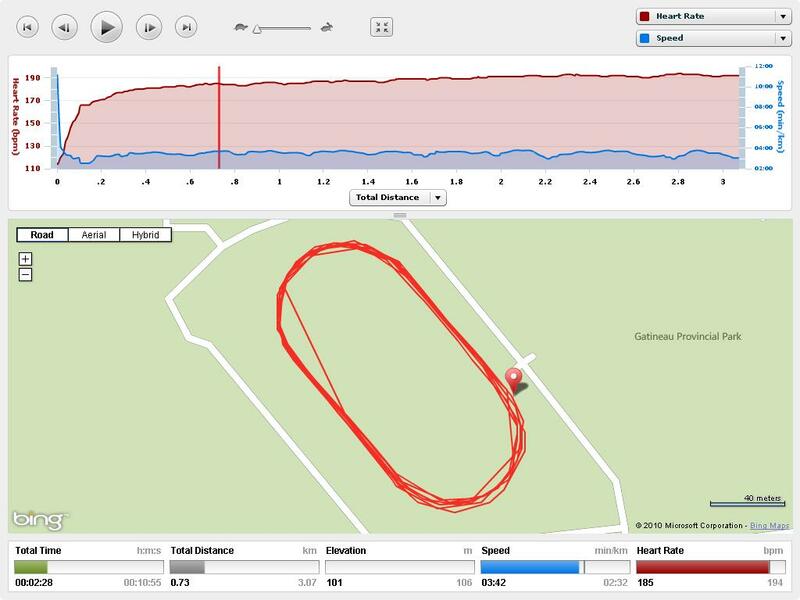 This image shows the pain of a 3km track test. Nothing escapes the eyes of a GPS training watch. Those fluctuations in speed prove that I’m not a trained track runner. And, no, I didn’t actually cut the corner on one of my laps! 5 x Penguin Hill. 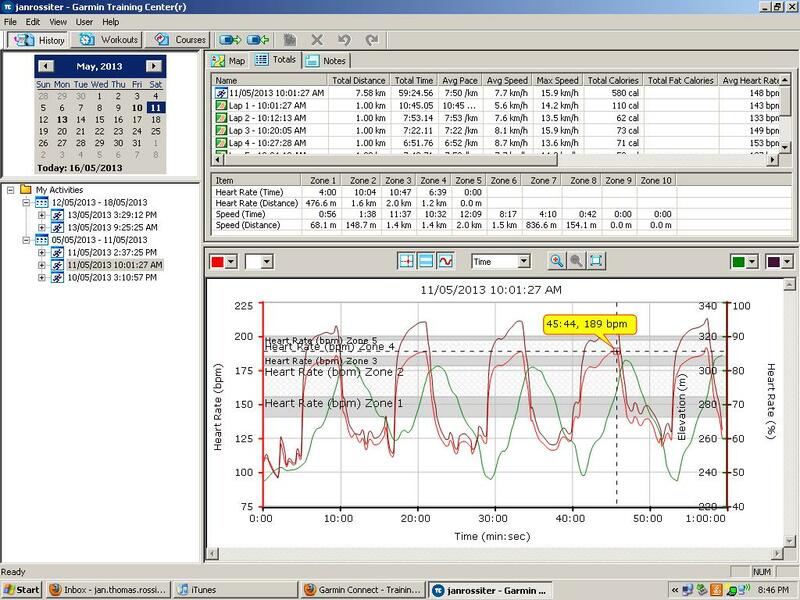 Technology provides us with loads of data to analyze, or over-analyze if we’re not careful.